Raymond Johansen has been governing mayor of Oslo since 2015. In our busy urban lives plastics have become a convenience. Single-use plastics are used without recourse and without thought. The morning coffee run, the wrapping on our midday sandwich, or a straw in our evening drink. But when we stop to look around, plastics are also pollutants; we see them in our parks and rivers, as well as on our streets. As a governing mayor I am keenly aware of the need to tackle this problem, which is why Oslo recently became one of first cities in the world to announce plans to phase out unnecessary single-use plastics. City authorities play a key role in the collection and treatment of waste. Plastics, however, are problematic to separate according to different qualities, and are difficult to recycle as raw material. To get better at dealing with plastics and their impact on the environment, we need to generate better cooperation along the value chain. To meet the goals of the UN Clean Seas-campaign, and the Sustainable Development Goals, the City of Oslo is now working to phase out all unnecessary single-use plastic to reduce plastic pollution. We will mark this shift next year when Oslo becomes the European Green Capital. The city will work with municipal agencies, the private sector, relevant organisations and citizens, for example in our plans to collect and map floating waste in the Oslo fjord by making use of port bins, divers and underwater drones. We are also supporting researchers in their efforts to collect more information about the challenges we are facing. We will commit the city administration and invite private companies to take part in Oslo’s work against plastic pollution. Simultaneously we will introduce guide lines for plastic-smart events and educate the city in becoming plastic-smart and aware. 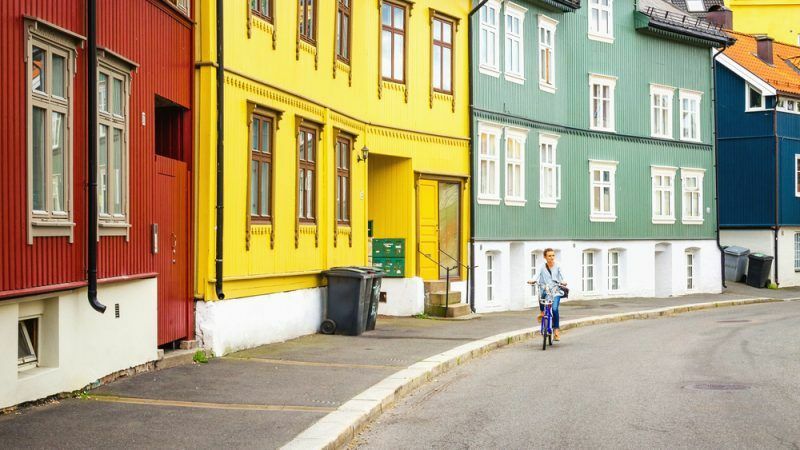 Through Oslo’s membership in EUROCITIES, the network of major cities in Europe, we are in touch with many of our peers to share and exchange knowledge on this and other areas. Munich recently launched a campaign to encourage people to use less plastic, which used images of well-known landmarks replaced with plastic waste to represent the amount of hourly, daily and weekly waste produced by the city. Following this, the city administration published a flyer with 12 tips on how to avoid plastic waste. Copenhagen worked out that plastic food trays represent around 20% of the plastic material collected from households. Using European funding, the city worked alongside partners across the value chain to test ways to create a viable business model that could wash and reuse the trays or otherwise recycle the plastics for alternative use. As a result, the city has contributed to a national design guideline for fast moving plastic packaging. At the EU level the European Commission’s strategy on plastics in a circular economy and the proposed directive to reduce the impact of plastics on the environment is promising. However, from a city perspective many more provisions could be made to tackle environmental problems and establish better resource management of plastics. These include shifting from a recycling based approach to a prevention based one, adding a clear definition of biodegradable plastics and restricting their use, and setting reuse targets for multi-use packaging. Top of the list, however, is recognising the need to look at how we design, produce, consume and discard plastics along the entire value chain. The lack of cooperation amongst stakeholders, for example, on sharing knowledge about what is required for a product to be recyclable, hampers the development of design solutions to facilitate recycling. Alongside EUROCITIES colleagues I strongly encourage the European Parliament to support the European Commission’s approach towards the responsibility of industry for contributing through extended producer responsibility schemes including the cost of cleaning up litter and of awareness raising. The European Commission’s pledging campaign to increase the level of reused plastics in plastic products is a step in the right direction. While cities like Oslo can contribute to this target through our public procurement, it also lays a major responsibility with the plastic industry itself to develop new degradable products and change the products they offer. Currently, it is mainly municipal authorities that are tasked with investing in the necessary infrastructure to make this possible. Sharing responsibilities would produce more effective and speedier results. The unnecessary use of disposable plastics is a major environmental issue. The time to act is now. I hope that the single-use plastics vote in the European Parliament, which will take place this week, will be in favour of the Commission’s proposal. This is a good opportunity for Europe to lead the way to a greener future.